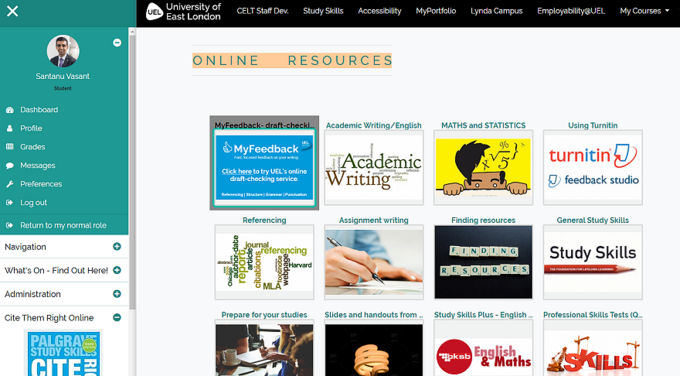 As part of UEL’s Moodle Improvement Programme and the feedback received from consultations with staff and students, CELT (Centre for Excellence in Learning and Teaching) engaged with an external company to design a theme for Moodle to compliment UEL branding. This student guide takes you through the changes and reminds you of some of the features in Moodle. When the theme first went live, some major issues arose which CELT report have now been resolved. However, if users would prefer to revert back to the previous theme, they can follow the simple steps in this guide. As a reminder, all queries regarding Moodle should be reported to the Student Hub in the first instance.